The loan function of a whole life insurance policy is one of the more attractive options that life insurance presents. The ability to borrow money from your life insurance policy gives you flexibility that other people do not have. If you need access to fund immediately, a life insurance policy loan could be in your best interest. Let's examine a few different aspects of the life insurance loan. Whole life insurance loans give you a flexibility not often seen in the lending world today. With a traditional loan, you have to apply and based on your creditworthiness, you are approved. Then you have a strict, rigid repayment structure that must be met. If the terms are not met, you will go into default on the loan and your credit will be negatively affected. With a whole life insurance policy loan, you can avoid a lot of these problems. There are no long application processes to go through. Usually there is a short form that you complete and return to the insurance company. In a short period of time, you will have the money that you've requested. In most cases, you can borrow up to 90% of your cash value. Once you get the money, there is not always a set repayment schedule. With many policies, you can repay the loan at your discretion. If you have some extra money one month and want to make a large payment, go ahead and do so. If you need to miss a payment, you can do that also. The longer you take to repay the loan, the more interest will accumulate. Many times with an insurance policy loan, you can borrow the funds at a very reasonable interest rate. Most of the time, it is lower than what you would receive from a commercial lender. They do not require any special circumstances to qualify and you can get a lower rate than with other places. Anytime you can save money on interest, this could amount to thousands of dollars worth of savings over the life of the loan. When you pay back the interest, you are also helping your cash value to grow. You're basically paying money back to yourself. Borrowing from your life insurance policy is something that should not be taken lightly. You will have to look at each situation individually to decide if it is worth borrowing against your policy. Regardless of the logic, it must be a very good reason. If you think there is a chance that you may not be able to repay the loan, do not even consider it. If you were to default on the loan, you would risk losing your life insurance policy. You may not be able to get another policy and your family will be put at risk when you die. 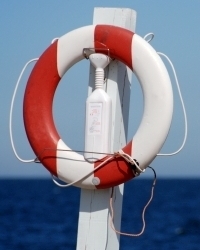 The reason to borrow from your life insurance policy should usually be an emergency. If you cannot get the funds from anyone else, then this is a fantastic option. Just don't do it every time you need a few dollars.